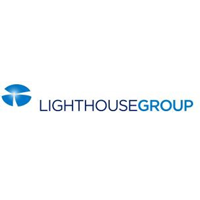 Lighthouse Group PLC (LON:LGT) Have today announced that on 3 April 2019, the Boards of Quilter, Intrinsic and Lighthouse announced that they had reached agreement on the terms of a recommended cash offer to be made by Intrinsic for the entire issued and to be issued ordinary share capital of Lighthouse. The Acquisition is expected to be effected by means of a Court-sanctioned scheme of arrangement between Lighthouse and Lighthouse Scheme Shareholders under Part 26 of the Companies Act 2006. Lighthouse Group plc is pleased to announce that the scheme document containing, amongst other things, the full terms and conditions of the Acquisition, together with the related Forms of Proxy, are being published and sent today to Lighthouse Shareholders and, for information only, to persons with information rights and to holders of options under the Lighthouse LTIP. As detailed further in the Scheme Document, the Scheme is subject to the Conditions. To become effective, the Scheme requires, among other things, that the majority in number of the Lighthouse Scheme Shareholders present and voting (and entitled to vote) either in person or by proxy, representing not less than 75 per cent. in value of the Lighthouse Scheme Shares held by such Lighthouse Scheme Shareholders vote in favour of the Scheme at the Court Meeting and the Resolution at the General Meeting. It is important that, for the Court Meeting, as many votes as possible are cast so that the court may be satisfied that there is a fair and reasonable representation of Lighthouse Scheme Shareholder opinion. Lighthouse Scheme Shareholders are therefore strongly urged to complete, sign and return their Forms of Proxy or transmit a proxy instruction (either electronically or through CREST) as soon as possible and, in any event, by no later than 10.00 am on 8 May 2019, in the case of the Court Meeting, and by no later than 10.15 am on 8 May 2019, in the case of the General Meeting. Holders of Lighthouse Shares should carefully read the Scheme Document in its entirety before making a decision with respect to the Scheme. If Lighthouse Shareholders have any questions relating to the Scheme Document, the Court Meeting or the General Meeting, or the completion and return of the Forms of Proxy, please contact Lighthouse’s registrars, Link Asset Services during business hours on 0371 664 0300 within the United Kingdom or on +44 (0) 371 664 0300 from overseas or by writing to shareholderenquiries@linkgroup.co.uk or 34 Beckenham Road, Beckenham BR3 4TU. Calls are charged at the standard geographic rate and will vary by provider. Calls from outside of the United Kingdom will be charged at the applicable international rate. Lines will be open between 9.00 am to 5.00 pm, Monday to Friday excluding public holidays in England and Wales. Different charges may apply to calls from mobile telephones and calls may be recorded and randomly monitored for security and training purposes. The helpline cannot provide advice on the merits of the Acquisition nor give any financial, legal or tax advice. The expected timetable of principal events is set out in the appendix to this announcement. Subject to approval at the relevant Lighthouse Meetings, receipt of the Court sanction and the satisfaction or waiver of the other Conditions set out in the Scheme Document, the Scheme is expected to become Effective during the second quarter of 2019. If any of the key dates set out in the timetable change, Lighthouse will give notice of this change by issuing an announcement through a Regulatory Information Service.